When passing numbers, Infusionsoft has difficult understanding high numbers with comma's. For example if you are mapping a house listing price and it is priced at $300,000 when we pass it on it will show in Infusionsoft as 300. 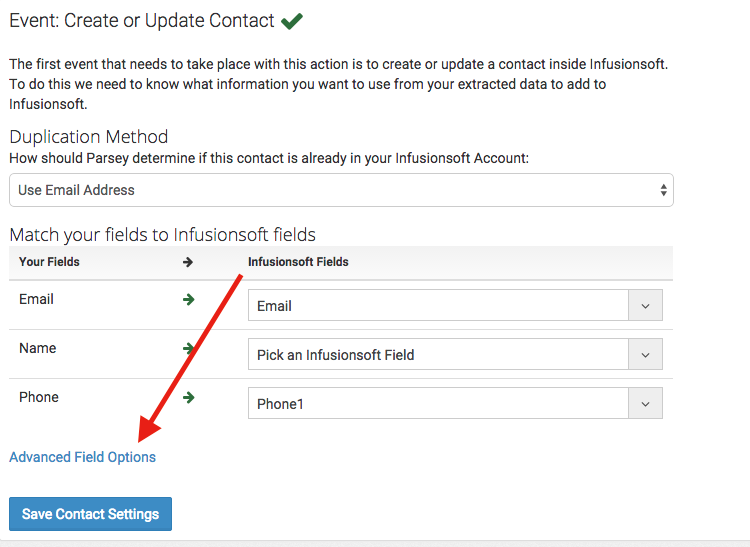 For these cases we developed a conversion tool the removes the commas before we send it to Infusionsoft. Under the actions page select " Advanced Field Options"